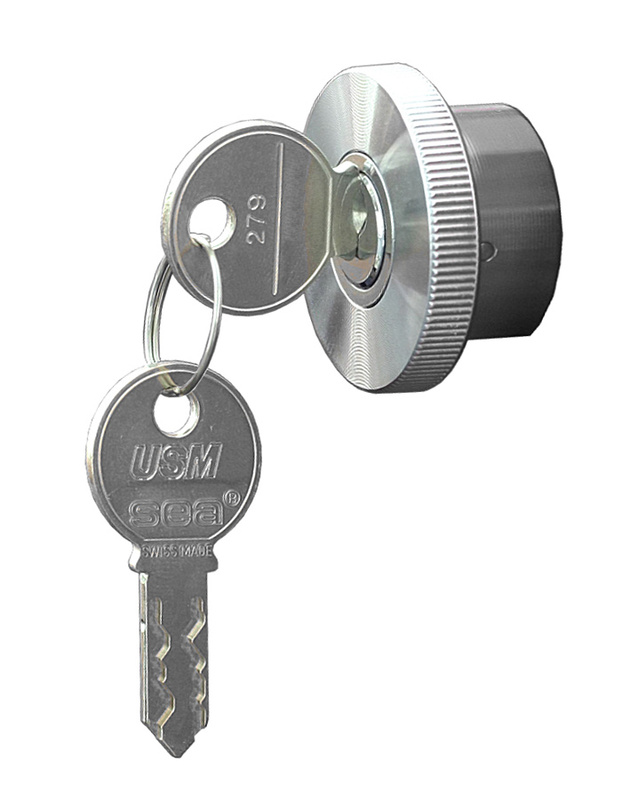 The USM Haller lock can be effortlessly retrofitted to a USM unit and allows for the safely storage of important documents or valuables. The lock comes with two keys and can be ordered with or without a fixing set. 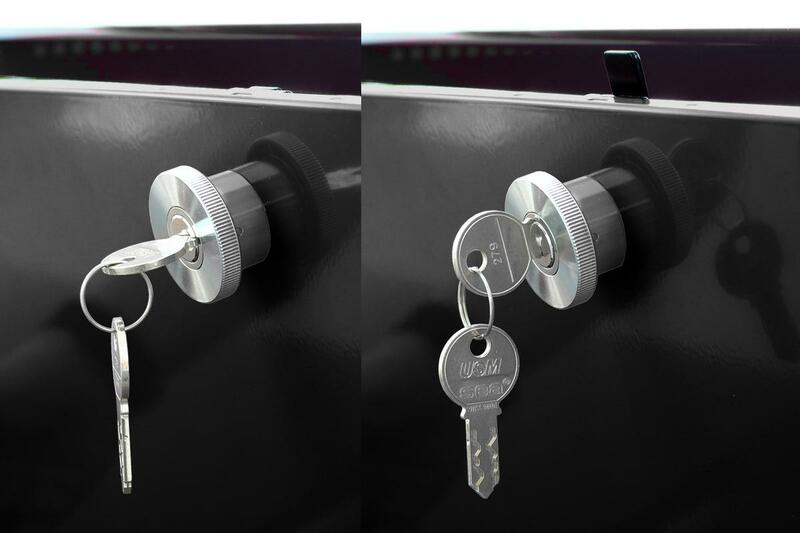 Where a normal handle (without barrel) is present, the fitting set can be used. The smow USM service team can provide more detailed information. Function & properties Suitable for USM Haller units with drop-down or extension door of the current generation. 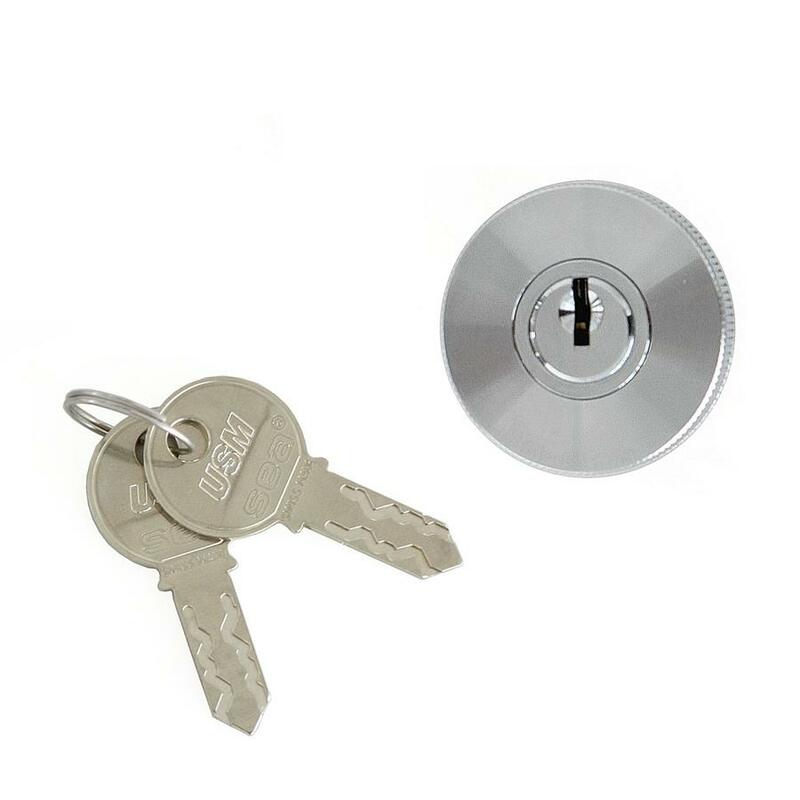 Assembly Simply loosen the screws of the standard handle and replace the standard grip by the lock handle. Then insert screws. An installation manual is included with the delivery.